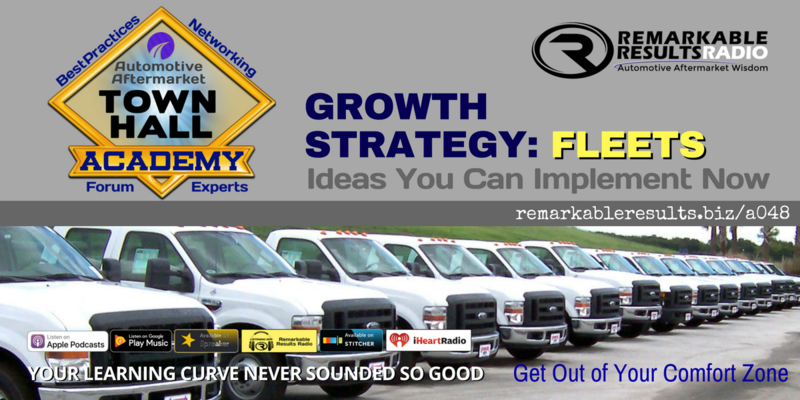 Fleet business can sustain your revenue during the up and down times of the year. Great advice on getting started and be willing to change and adjust as you move along. These three shop owners agree that it may be time for you to ‘Get out of your comfort zone’ and jump into the fleet business. LISTEN HERE. We talk how to recruit fleet customers, obvious reasons to get into the fleet business, the how to deal with fleet managers and the challenges of implementing and growing fleet revenue.